@Shadowshire The FAQ and known issues are on the Info and Changelog tab. Writing a comment before reading those two tabs is like complaining that you cannot use some device when you have not even read the manual. It should be common sense and there should not be any need to link to those two tabs. The first screenshot looks like a bug, but it is unrelated to the autosearch. 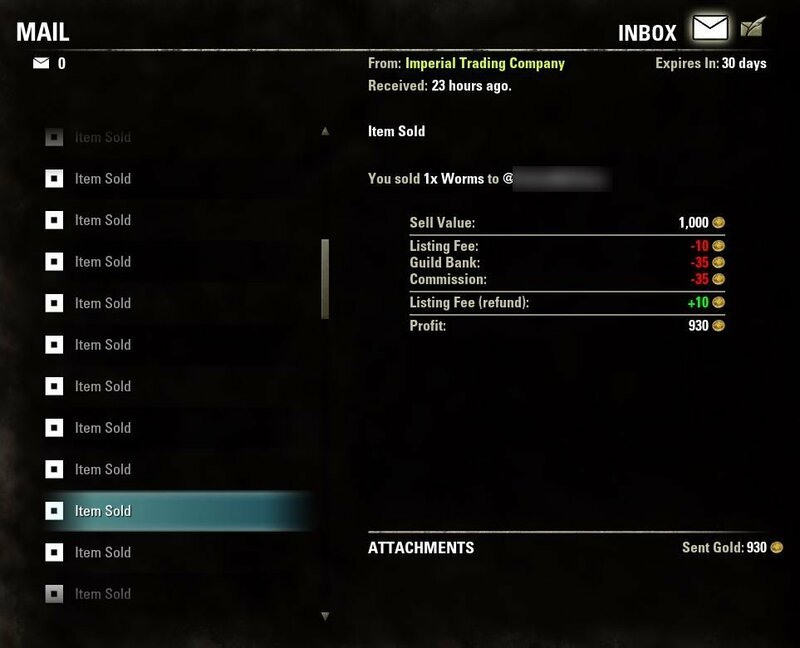 The filters on the sell tab have nothing to do with what is happening on the search tab. The second one is also not directly related to the auto search. It's due to the queuing of the listings request. It will only update the list after the results are received. The same behavior can also be observed with the search results and the number of listings on the sell tab. I plan to change them so they get cleared on guild change before sending requests. preview with "search for item" reliable? I don't know, I got confirmation in game from other players the preview with "search for item" often won't display, in which case you may want to update the notes or some other could report this again, because as it's written now it seems the "search for item" option works fine for preview, but it doesn't. 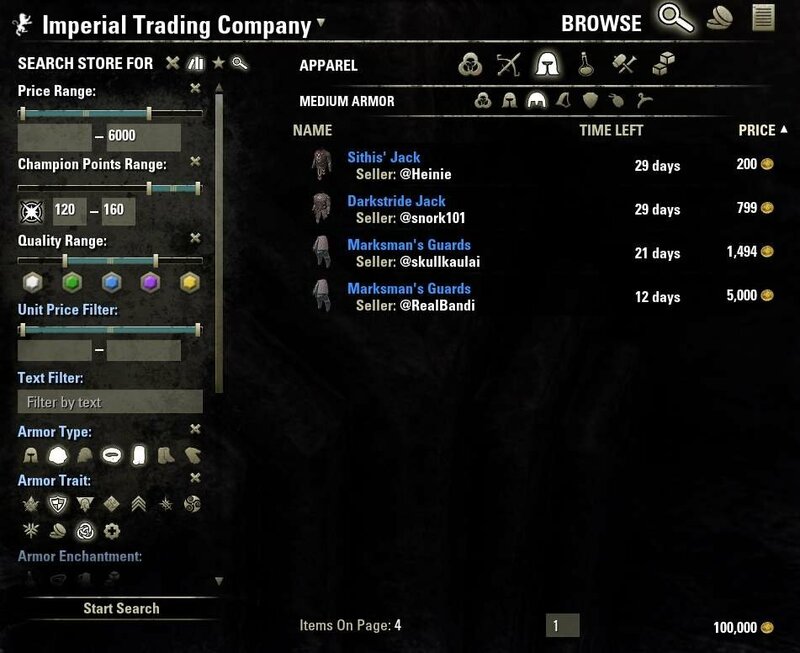 Some others said it's working, so I really don't understand, can I have a straight confirmation if preview with "search for item" is supposed to be reliable right now? Last edited by Nova7 : 04/08/19 at 01:36 AM. For what it is worth, I doubt that anyone remembers what I posted on 03/10/19, 09:36 PM which is currently displayed on Page 8 of these Comments. IMHO, you will avoid, if not resolve, many issues if you make the "automatic search" toggleable (by mouse click and/or by a keybind), and display an on/off indicator, instead of automatically making a search by default -- one which is ordinarily irrelevant and a waste of bandwidth and server resources. 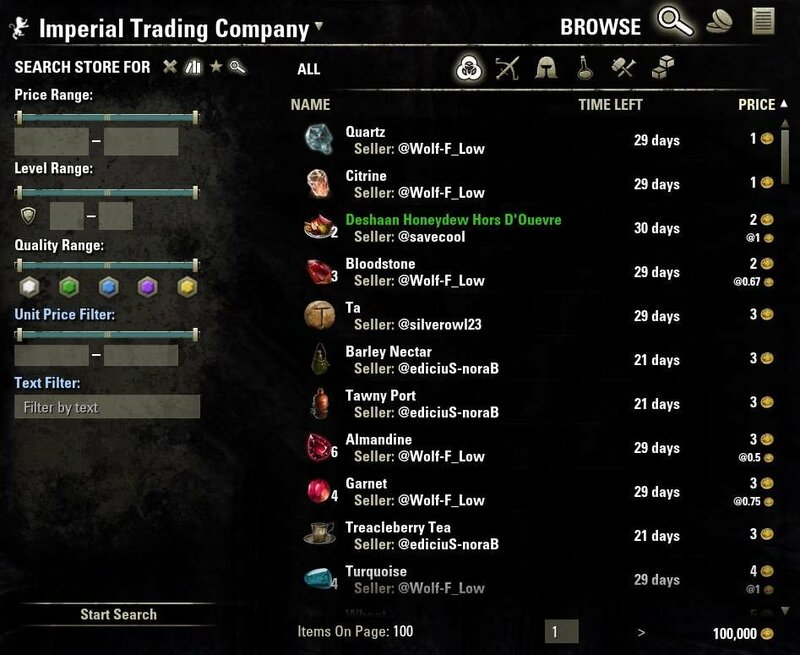 An automatic search by default is a good feature when, and only when, the player is repeatedly searching multiple Guild Stores for the same item(s). Curiously, when I use New Search, AGS makes a useless automatic default search before I ever select a category, any search parameters, or enter a text string (!). Then it continues to "refine" the Search results from the initial results until all of my choices have been made. Unfortunately, the eventual outcome seldom produces every result that is possible. Worse, this becomes very frustrating when the "Search for More Results" button is also greyed-out. Obviously, AGS may be "AI" some day but it cannot read my mind, yet. Last edited by Shadowshire : 04/12/19 at 09:49 PM. The list of addons that have compatibility issues is something that you should take with a grain of salt. I only listed them because people reported having problems. That does not mean they are not working. They could also have received an update in the meantime, so just try it for yourself and if you encounter issues, try to disable them and see if they go away. Therefore I won't include it in the changelog anymore starting with the next version. As for all the other comments, I always read them and will fix bugs or implement improvements and features as I see fit, but it will take time, so please be patient. p.s. Going forward I will ignore comments that are covered by the FAQ or known issues list. If you are not willing to read, I am not willing to write. Please include hyperlinks to the "FAQ" and to the "known issues list", respectively (neither of which I have ever seen or known anything about). Thank-you for continuing to work to resolve the issues. 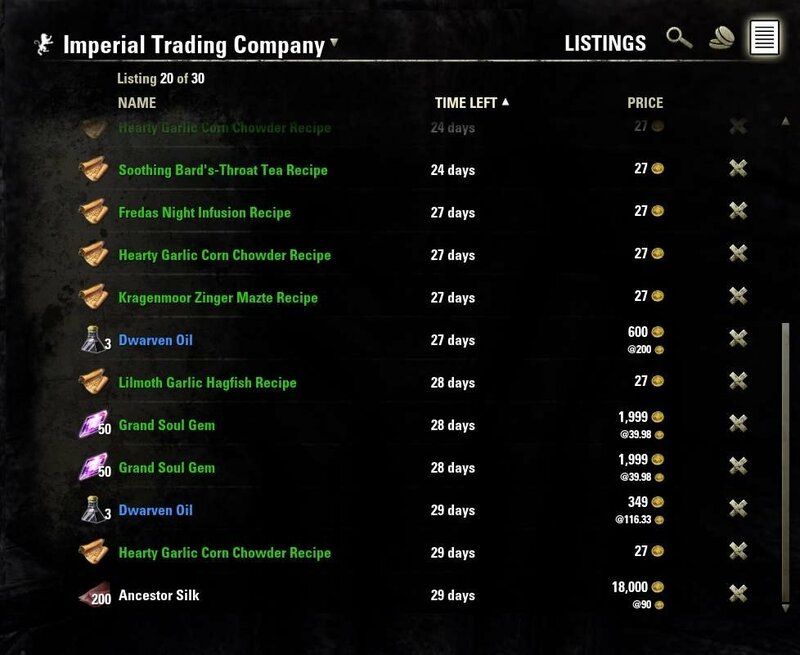 Frankly, though, I believe that attempting to implement previews for Furniture Recipes is a wild goose chase (unless and until ZOS implements a stable API for doing that). 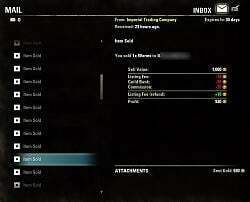 AGS (and master merchant for that matter) not working. I enable them in the addons menu when i launch the game, and have the latest versions of both, however when i ACTUALLY launch the game, they dont work, and are unchecked in the addons menu, with red text, saying i need various libraries. Do these NOT come in the addon directory already? 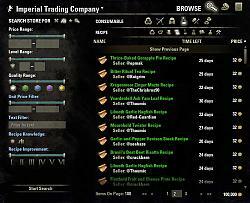 If not where do i grab them, then dump them for the addon to recognize them? *edit* NVM, winzip was dumping the extracted files into an additional folder, instead of just the folder i extracted them to. Last edited by NecDW4 : 04/07/19 at 06:02 PM. Thank you for the clarification about some issues and for taking the time to read all for the reports. 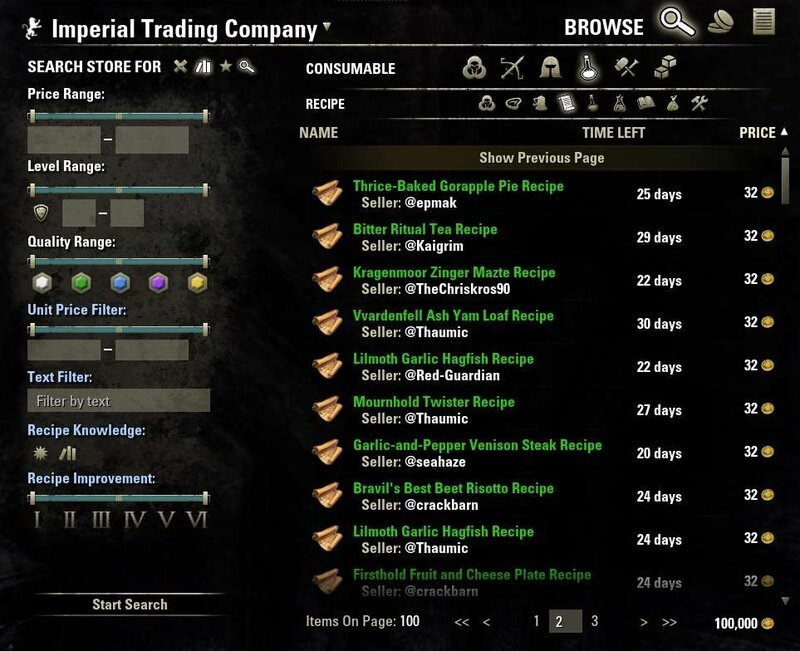 @deonlr Please, could you tell me if with "Search for Item" you get all the previews or just some of them are showing? 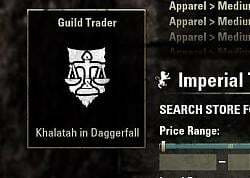 Because in many cases I don't get preview even with "search for item" and I would like to know if it's common and just have to wait for ZOS to make a change as the author explained, or it's something on my end causing trouble using "search for item" which, for what I read, is supposed to work. Thanks a lot if you can confirm it's showing all previews or not. Last edited by Nova7 : 04/07/19 at 11:05 AM. 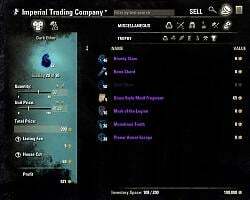 The item preview is in the list of known issue. The bad news is, it's not something I can fix on my end. I tried to create a workaround, but it would trigger a lot of server requests, which could potentially cause problems for everyone. That's why I won't release that, but I also have good news. 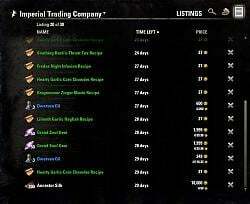 ZOS is considering handling the problem on their end and will hopefully include a fix in the next major update. Which brings me to the topic of request timeouts. This is not caused by AGS itself, but becomes more noticable due to the queuing it does. It's also not something I can fix, but ZOS is looking into a solution. There is some sort of zone queue for all store responses that are sent from the server to the client, which seems to clog up when there are many players in the current instance you are playing in. 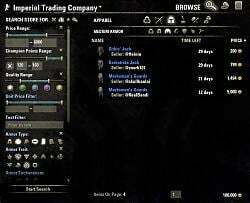 The best thing you can do right now is to go to a less populated zone when you use the store at a banker, or do your business when less players are logged in. The bundled libraries are something I plan to remove in the future. For now I left them in to minimize noise by people complaining about missing dependencies. I am having strange behaviour with Furniture 'recipes' preview. It only works intermittently or show nothing at all. I have now disabled all other addons and cleared my Savedvariables, still not working. If I disable AGS it works perfectly. Any one else having issues, any advice? Last edited by deonlr : 04/07/19 at 07:25 AM. Something is wrong with the search function through AGS. I just ran through 4-5 traders looking for a Praxis that TTC said was seen less than 10 minutes ago. I couldn't find it anywhere. Even when I disabled search and manually looked, I couldn't find it. 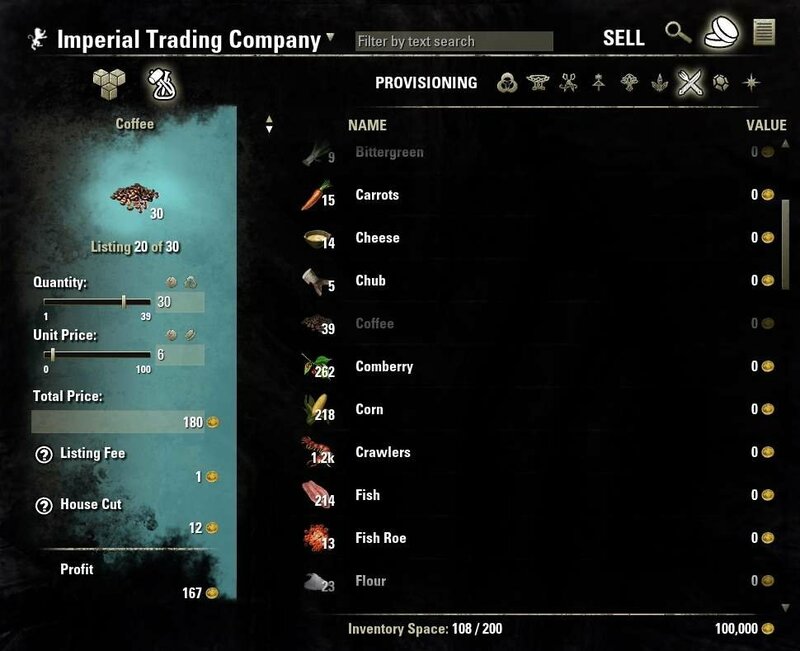 But I did find it peculiar that items would be listed from like 1-1000g, and then jump to 5k+, with nothing listed between 1-5k. Are you certain you didn't have deal filters on? I've been staring at "11 activities queued" for like 15 minutes now. I think it's a bug. When I close the window and start over, the requests are processed almost instantly. I got suspicious eventually and disabled AGS. The item I was looking for was instantly found by the in-game UI at all the traders. 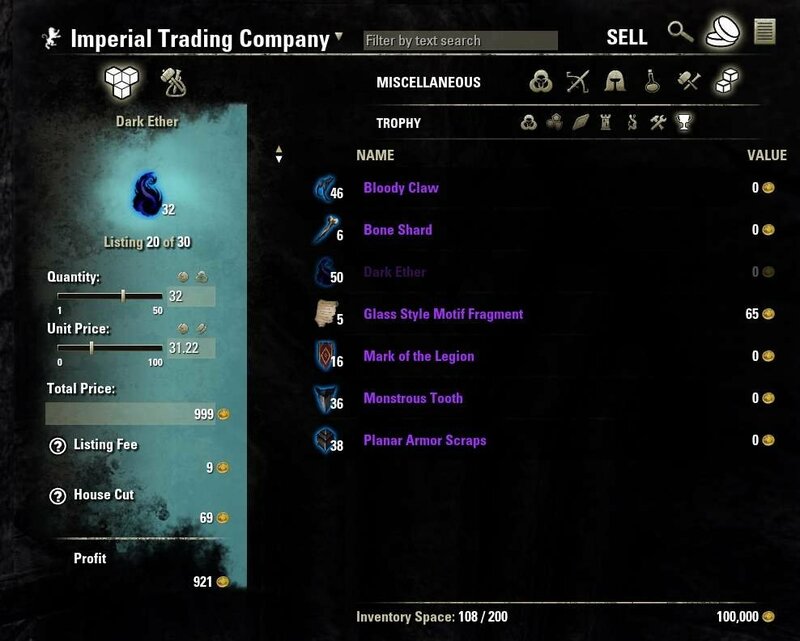 I'm not sure what's wrong, but AGS seems to be hiding some items in guild stores. I think it still might be searching "page by page" which means it's acting like a filter and hiding results. 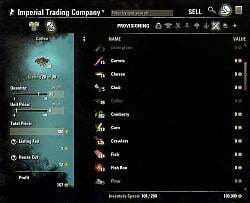 Is there some way to integrate the vanilla search/listing UI, but retain some of the core functionality of AGS (like being able to list items by unit cost)? I would be okay with losing a lot of the filter functionality for something like this. Last edited by Chlamydia1 : 04/05/19 at 08:04 PM. It would be awesome to have extended name of the entry, I loved the words we typed in the text filter were displayed in the entry, it was so convenient, look now with all the motifs, having the name of the search would be absolutely practical. For me the ideal would be the column up there (or two columns, there is space) where it was before and then the complete name of the search because there is horizontal space also for that. I dream about having what we typed back in the entry and I still hope if the author will do some changes to the column, can consider to put the extended name again, if it's possible/he's able to do, it would be truly awesome.